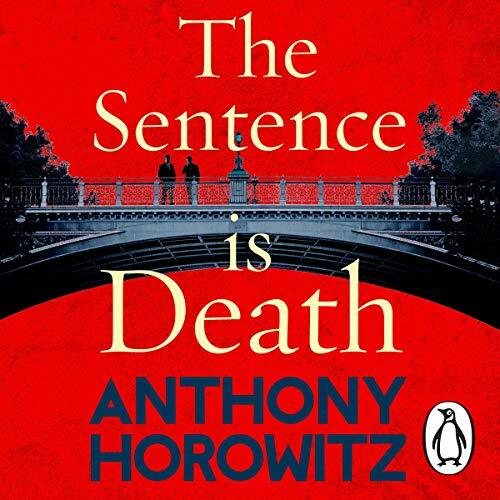 Random House presents the audiobook edition of The Sentence Is Death by Anthony Horowitz. Passion, deception, an unexplained death and a detective with quite a lot to hide lie at the heart of Anthony Horowitz's brilliant new murder mystery, the second in the best-selling series starring private investigator Daniel Hawthorne. William Pryce is an elegant, smooth-tongued lawyer who has made a fortune out of celebrity divorces - and a lot of enemies in the process. Unmarried himself, he lives in a handsome bachelor pad on the edge of Hampstead Heath. When he is found murdered, the police confront the most baffling of mysteries: who was the visitor who came to Pryce's house moments before he died, arriving while he was still talking on the phone? “You shouldn’t be here. It’s too late....” were Pryce’s last recorded words, but what exactly do they mean? Why does his killer paint a three-digit number on the wall before leaving the crime scene? And why exactly was he bludgeoned to death with a bottle of wine - a 1982 Chateau Lafite worth £3,000 - when he didn't drink alcohol? I thoroughly enjoyed this audiobook. In fact I got through it in record time. The plot is superb (despite me guessing right about who did it) and the narration is one of the best I've ever heard. Vivid and memorable, very very impressive. So, yes -I loved everything about this audiobook.